Whenever I hear the term "tycoon game" I'm always taken back to 1990 and Sid Meier's Railroad Tycoon, though the genre has been around since at least 1983 when M.U.L.E. was released, and possibly even before that. While back then all the tycoon games centered around large businesses and macroeconomics, these days any game that focuses on any kind of business management is generally called a tycoon game. It should be noted, though, that some games, like "Sushi Tycoon" or "Farm Frenzy," despite being great games, are really just action games that take place within the confines of a business, and not truly tycoon-style games. With qualifications and semantics out of the way, we can focus on the best Android tycoon games you will find on the Android Market. It's a fairly crowded genre, but it's also easy to make a misstep when creating these types of games. The feature-rich tycoon games on a PC won't necessarily survive the translation to an Android device, as the confined screen space and limited interface options (just the touch screen) make porting a PC game very difficult, and usually you can get better games by designing them from the ground up with a smartphone in mind. A good number of developers have taken the challenge of bringing fun tycoon-style games to Android devices, and quite a few have succeeded, so check out the list below for those games that make the grade. Tattoo Tycoon takes a fairly standard track when it comes to tycoon-style games. You are put in charge of various tattoo parlors, with the goal of making them profitable. Additionally, each step in the campaign mode asks you to perform other tasks, like selling a number of T-shirts or installing a number of soda machines. Whlie the overall game concept is centered around building up a large business, Tattoo Tycoon also includes a few fun mini-games centered around the tattooing process. If you happen to not like the mini-games, after the first few rounds of the game you are able to hire employees and assign them to take care of the consulting and tattooing process, relieving you from having to do the work (and play the mini-games) yourself. The game's graphics are decent but they don't prevent the game from performing well on even the slowest of Android smartphones. Overall, Tattoo Tycoon is fun to play and rewarding once you learn how to best set up your tattoo parlor. What could be better than taking a vacation on a beautiful tropical island? Why, it's owning a beautiful tropical island. Paradise Island gives you control of a resort island and tasks you to turn it into a profit-generating machine by adding and improving buildings, purchasing new areas of land and installing recreational activities. As time goes on, and your pocket book starts to grow, you'll want to improve your properties to generate even more money. Paradise Island is well done overall, although it will put a strain on some smartphones once you start filling up the island. Additionally, the end game gets a little ridiculous, with the money needed to continue expansion taking a really long time to build up. Regardless of these minor issues, Paradise Island is the kind of game that just pulls you in and makes the hours melt away. While some Android tycoon games seem to try and pack a mountain of features into a small smartphone application, Lemonade Stand goes in the opposite direction, and is a fairly simple app centered around profit and loss in the lemonade stand business. Each day you'll have to purchase supplies, determine how much of your product you will use per sale, and set your prices. The goal is to make as much profit as possible within the selected time frame. While there isn't much to the game itself, the desire to beat your high score, along with the high scores on the leaderboard, will keep bringing you back to this simple tycoon-style game. The old PC game Transport Tycoon is brought to the small screen here in this open version of Transport Tycoon Deluxe. 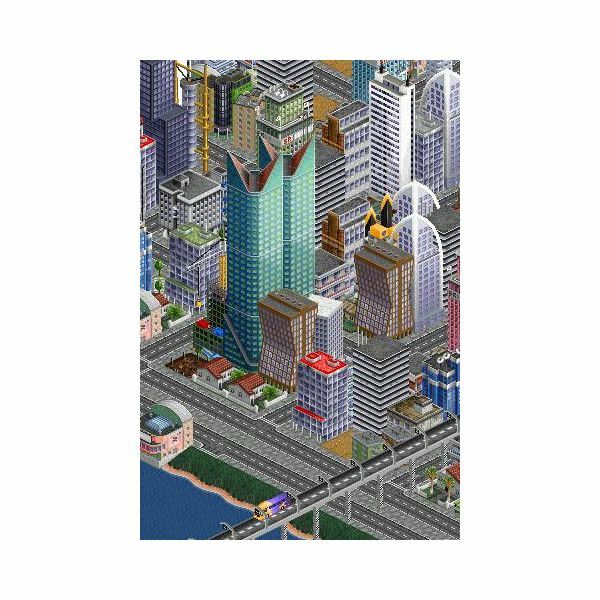 You take control of a transport comany and try to move good across a virtual city. The gameplay is almost exactly as it was in the PC game, so you know that the mechanics behind the game are sound. The only issue with this game is the screen size. The game's page on the Android Market specifies that you'll need a 4.5-inch screen to play the game, but even then things were exceptionally tight. I didn't get a chance to play this on a tablet, but I would assume that at those screen sizes, the game would shine. If you're looking for Android smartphone games, you might want to pass this one up, even though it is remarkably well done, but if you have a tablet this free game will be more than worth your time. Hotel Mogul has much in common with Build-a-Lot, which has a slightly higher following as a franchise, but is also a much more expensive application. Hotel Mogul places you in the shoes of a woman who's about to lose her family business. To save the day, you'll have to build a series of hotels ranging from palaces to campgrounds. To complicate matters, you'll need to purchase expensive supplies to do your building and upgrading, and hire workers to build and repair and create special buildings to benefit all the other hotels in the area. Each board will have certain requirements in order to progress in the game. Everything in the game happens in real time, so you'll have to be quick in certain spots. For example, you'll get checks when your hotels host a conference, but you only have a short amount of time to tap the check and collect it before it goes away. The full version of Hotel Mogul will cost you a few dollars, but there is also a lite version that allows you to play the game up through level 10 (of the 35 levels). Not every Android tycoon game has to be about about surviving in a cutthroat world of high finance, as exemplified by Zoo Club. Since it is a tycoon game, the goal is still to amass wealth, but here you do so by adding a number of adorable animals to your zoo. In addition to breeding new animals and expanding your zoo, you'll also have to take care of the animals you already have, and perform show puzzles to collect cash. The real drivers in this game are the cute graphics (which are cute enough to get kids into the game) and addictive gameplay, which kind of grows on you as you progress throughout the game. Unfortunately, even though the graphics aren't all that advanced, there are a number of Android devices that the app will not work with, but with millions of downloads already, hopefully the developers are working on a fix for that issue. Restaurant Story is one of a number of "Story" games from developer TeamLava, which include Nightclub Story, Zoo Story and Bakery Story, amongst others. Each of these games puts you in charge of a certain business, and then asks you to build it up and amass a fortune. The games are designed to run in the background, so you will take some time setting up your business as you desire and then select a few long-duration actions to perform. After that, you just sit back, watch the cash roll in and wait for messages on your Android device to tell you when some action is needed. These games aren't too in-depth, but are fun, addicting and certain to have a premise that you will enjoy.